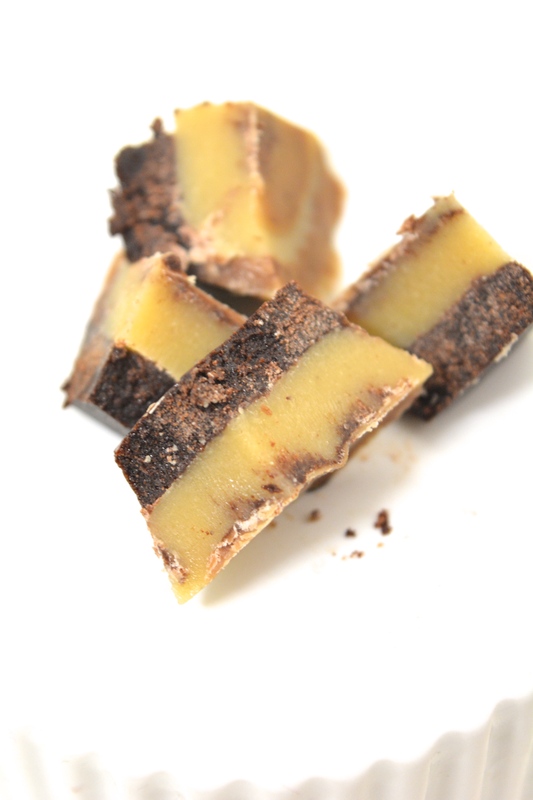 Have you ever tried sweet tahini fudge? They are amazing. I had handmade ones in a local Lebanese grocery once, looked for the ingredients. It said raw sugar, tahini and salt. Came back home and tried to make it at home, it was HEAVEN. Bitter, Sweet at the same time, they are so good. I am still working on a sugar-free version. But, guess what -that didn’t stop me from making these amazing cuties. I gifted myself cacao butter. They smell amazing. Words wouldn’t do justice if I were to explain the smell. 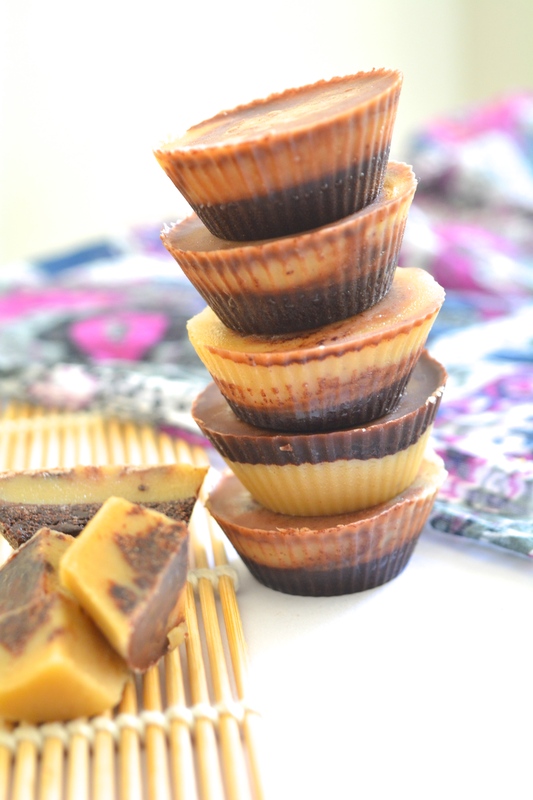 I made lot of homemade chocolates, peanut butter cups which inspired me to make these tahini cups. 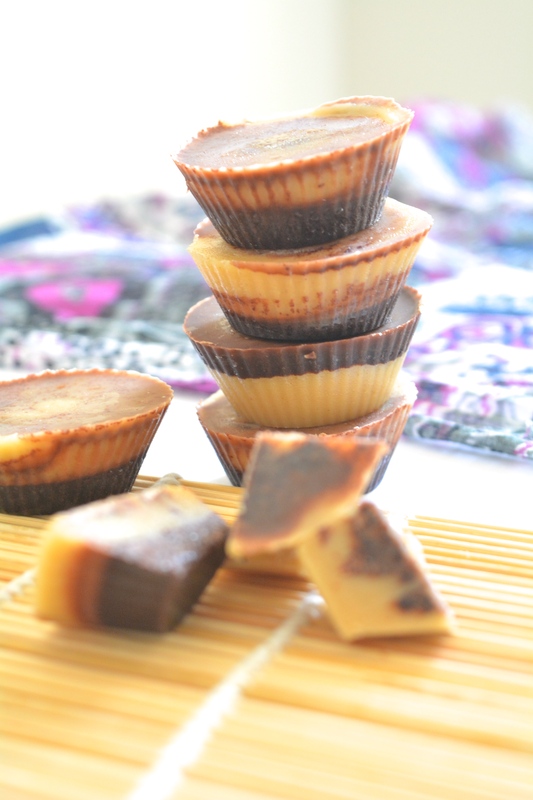 Best part of all, it takes only 5 ingredients to make this amazing calcium-rich cups. On a double boiler/very low heat, mix all the ingredients given for the cacao layer. Fill the mini-silicone molds until they are hall-full. The above quantity makes 8.Freeze for an hour. 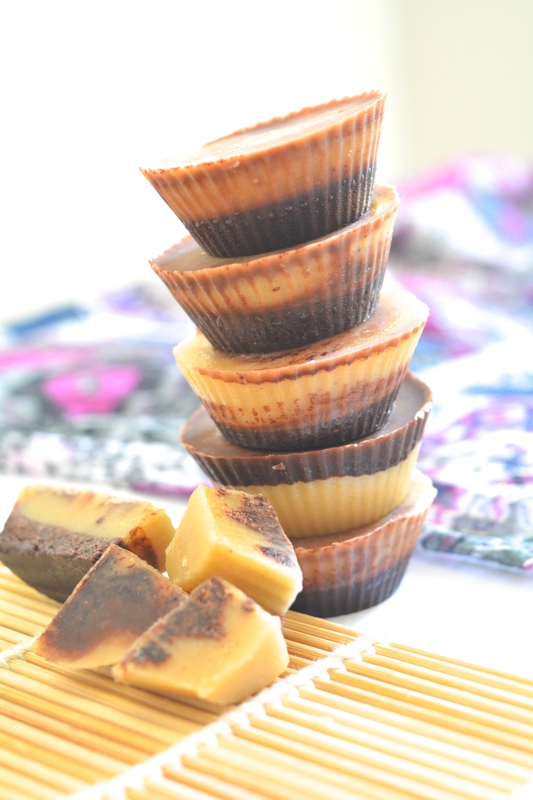 On a double boiler/very low heat, mix all the ingredients given for the tahini layer. Add this on top of frozen cacao layer. You could use a toothpick to swirl across and create marble effect. 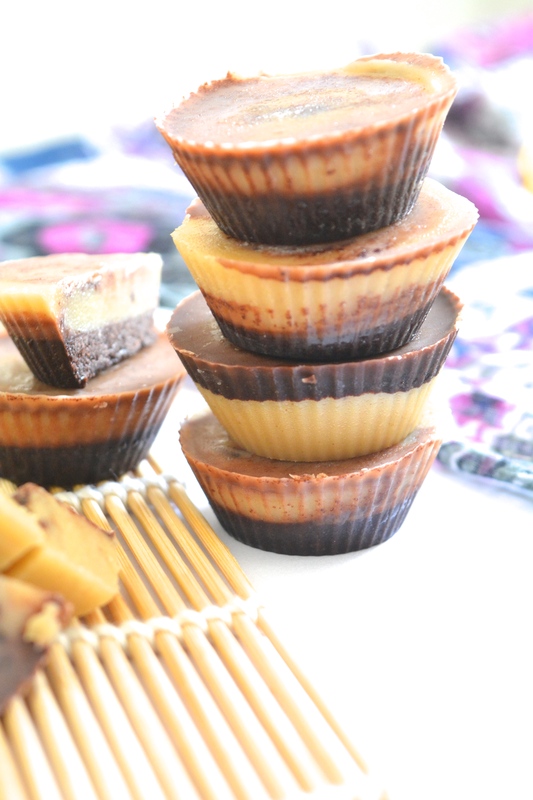 A sesame twist on peanut butter cups. 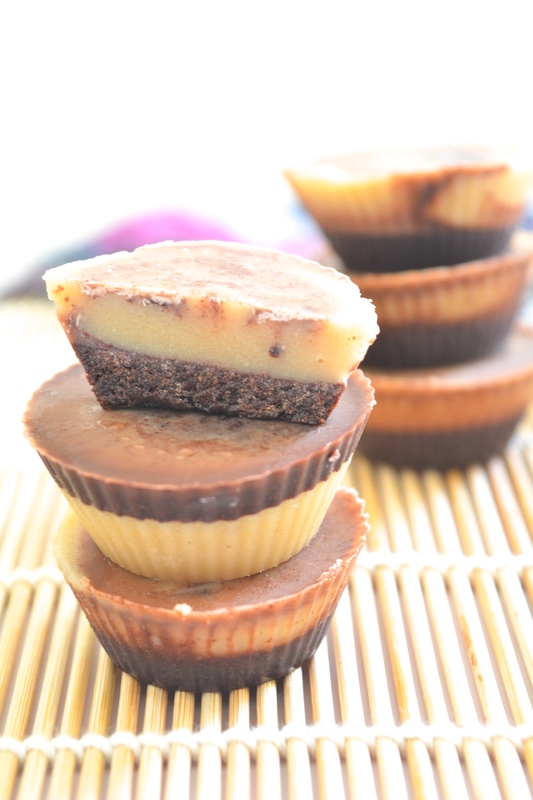 Make sure the silicone cups are arranged on a tray before you add melted stuff in there. This looks fab…would have not thought to try Tahini but will do so now. 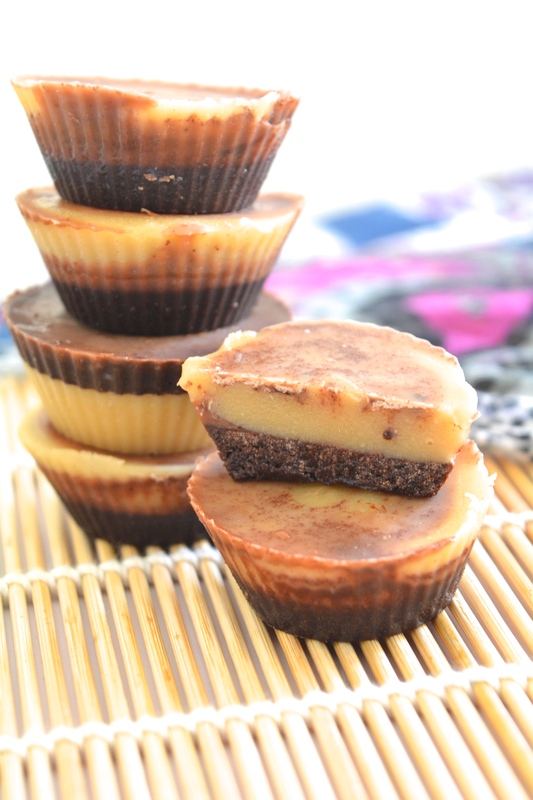 I don’t have cacao butter but will substitute with Almond butter and see how it turns out. Thanks! I haven’t used tahini.. Those cup looks awesome I should try it..